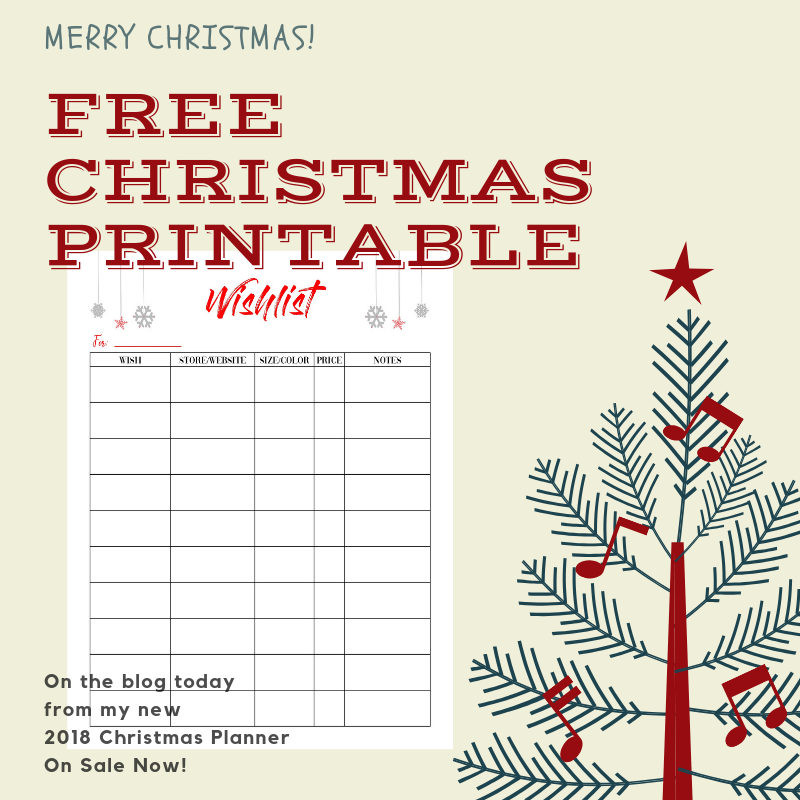 Today I was trying to decide what to release as a free printable from my new 2018 Christmas Planner and I decided to use the Wishlist page. We all make wishes at Christmas. Whether we are wishing for health and safety of our family and friends or wishing for a new piece of jewelry under the tree, we all make wishes. I love this page because it’s so versatile. 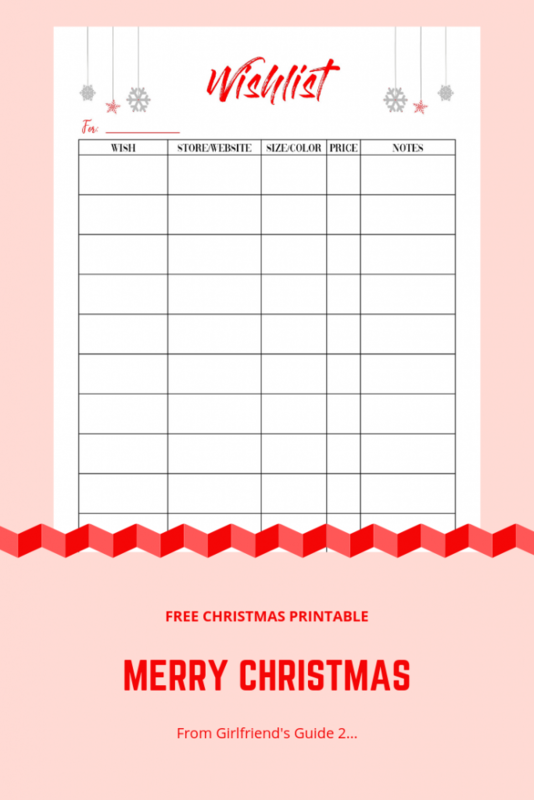 You can print off a sheet for each person in your family to fill out! You could use it to record the things you hear someone mention that they liked to get for Christmas throughout the year. Think about it! You know how in the summer someone mentions, “I’d like to get that for Christmas!” or “Mommy, I love that doll!” when you’re in a store? You can jot those things down right here and when Christmas gets here, you already have a shopping list or at least some really good ideas. There is one person you shouldn’t forget though. You! What do you want for Christmas? You can jot all those things down on the Christmas Wishes page and casually put it on your husband’s pillow and he’ll know exactly what to get you. Instead of getting you an air fryer this Christmas, unless you want an air fryer for Christmas. Not slamming air fryers here, but for some reason, my hubby thinks I want one, but I don’t. At least not yet. So, I guess I’ll be leaving this list on his pillow for ideas! Maybe I should get him to make a list, too! I hope you enjoy this free printable! Print as many copies of this page as you like. Spread some Christmas cheer and share it with everyone! Just CLICK HERE for your pdf. 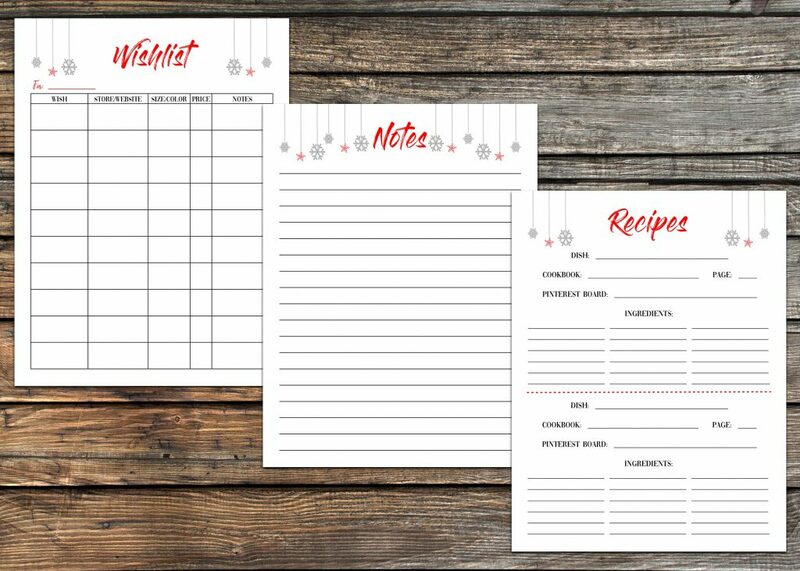 If you would like to purchase my 2018 Christmas Planner, CLICK HERE to go to my Etsy store. « 2018 Christmas Planner is Here!